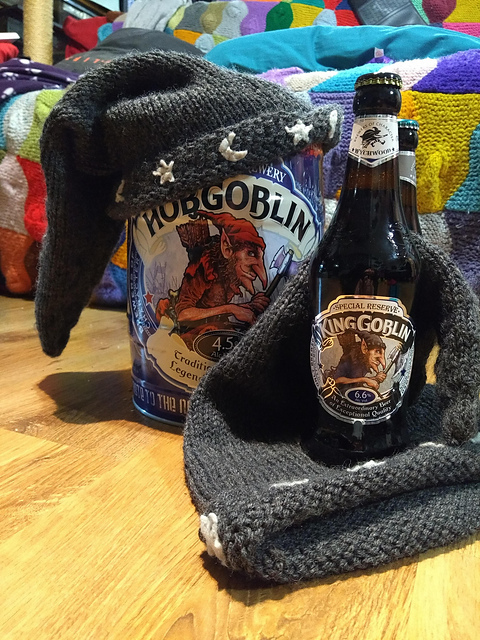 Back in June, some of you may remember that I knitted a number of hobgoblin hats. (It spanned three posts, so three links.) Not too long afterwards Rabbie came to visit – a great weekend even if nothing went to plan – and brought her hubby, Missy and a very good friend of there’s, now known as The Goblin King. Anyway, he’s gone down in Felix’s childhood history as ‘The Goblin King’ and frequently brings him up as such in conversation. So, it had to be done. Drumroll please! The hat has been photographed with Engels hat and a bottle of the relevant beer so you can see what it’s based on. And a keg of straight up Hobgoblin. Engel likes his dark beers. 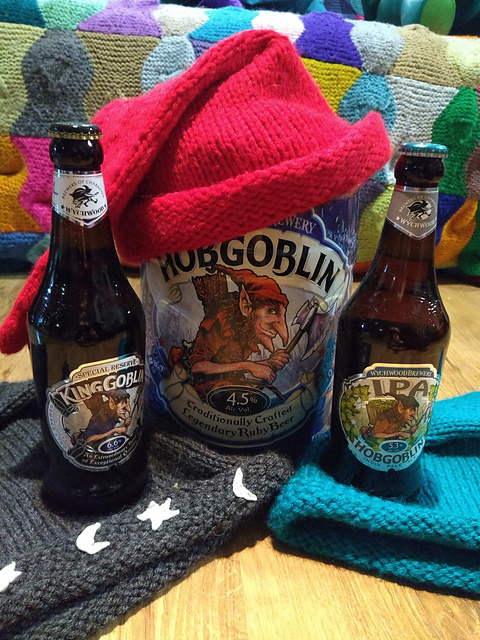 Though he humoured me by getting a bottle of the IPA Hobgoblin so I could get a photograph of each hat with the relevant beer! They make a good set, don’t they? The plan is to post the hat up to the Goblin King for Christmas, with no explanation given as to why he’s recieved it. Just for the giggles. Glad you like it! And fingers crossed he does too! This is just a little place on the web to showcase the various things I’ve created, what I’ve been up to and to give information regarding commissions and craft fairs I plan to attend. It’s still a work in progress, and will be for some time, but I hope you enjoy what you find! 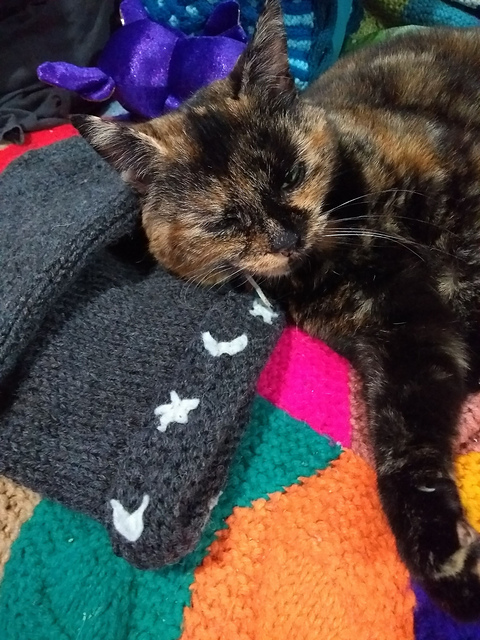 There are free patterns, a gallery and my blog. For anyone who has just stumbled across this site and curious, you can start reading from the first blog post here. Cars! They’re in the street!